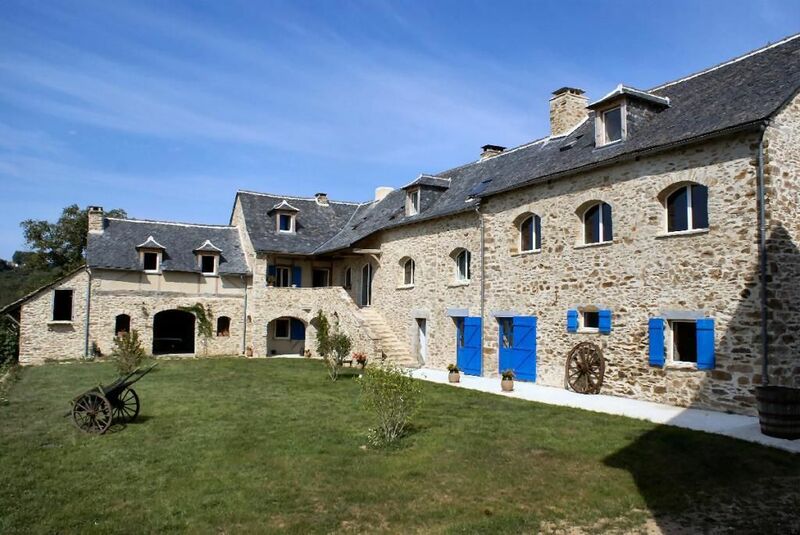 This wonderful property is located between Villefranche and Rodez. It has 4 hectares with an amazing 270 degrees view. This stone complex has a 360m2 surface with huge volumes unifying style and comfort. 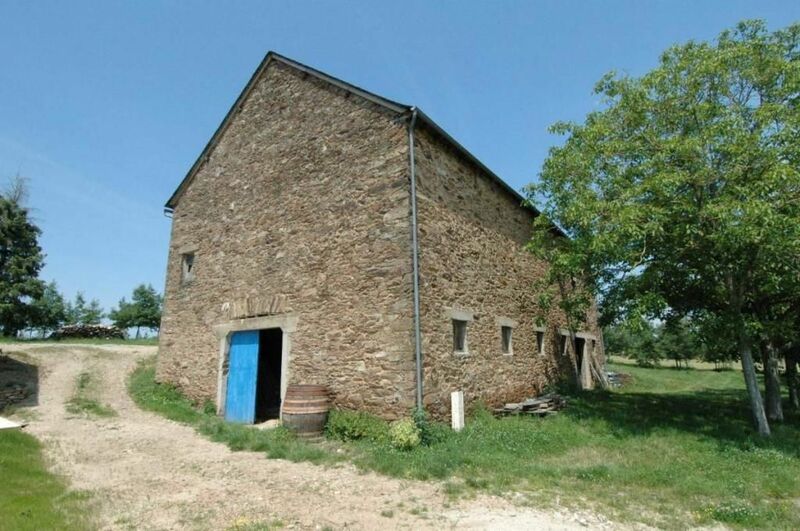 We can add to this property a 200m2 house that can be restored plus a 160m2 barn. The main house date from 1871. Garden level: There is a 24m2 workshop, a 12m2 cellar, an 11m2 storeroom, a wood cellar , a 29m2 boiler room, an 18m2 laundry room plus a summer kitchen. Ground level: There is an entrance hall with an 11m2 changing-room, a 74m2 dining room with a fireplace, there is a 20m2 equipped kitchen with a terrace access, a 32m2 salon, 2 rooms, one 11m2 office, and a WC. First floor: There is one 18m2 room, a 27m2 suite with bathroom, and WC. Dependencies: There is a 200m2 house that can be renovated. It has 3 levels that can be connected to the main house. 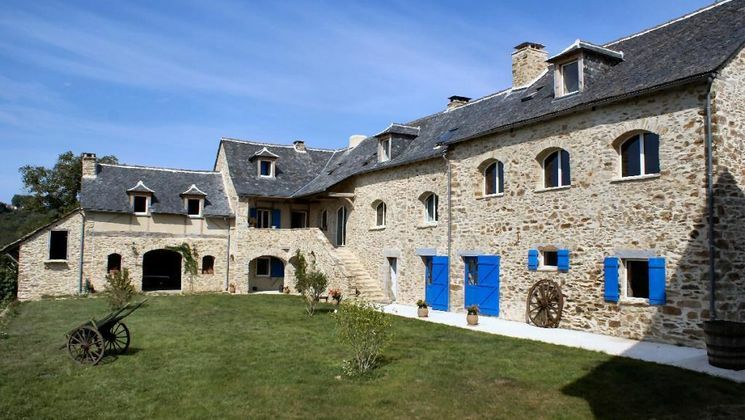 (There is a renovation work in progress) and there is also a 160m2 barn plus one bread oven. The property has 4 hectares in total with a little ornamental lake and a stream. It has a 25m3 water tank, a septic tank, a central gas heating system and an ADSL connection. The property has 4 hectares in total with a little ornamental lake and a stream.